The Supreme Court is expected to rule on King v. Burwell in June. At issue is whether the Affordable Care Act as written only allows for federal subsidies to go to enrollees in states that operate their own exchanges. Right now, 34 states rely on the federal government to operate the exchanges, meaning a significant amount of subsidies are on the line. If the Supreme Court strikes down the federal subsidies, some Governors and State Legislatures may rush to set up an exchange in order to retain them. Before making any decisions, however, they should be well aware of some of the miserable conditions state exchanges are currently imposing on officials. Here is a brief summary of some of those states. Washington retained even fewer people than California—just 62 percent. Total enrollment actually fell by two percent—Vermont was the only other state that lost enrollees. Since enrollment is so much lower than previous expectations, Washington’s exchange is facing a $4.5 million deficit this year with a budget of $59.2 million. This deficit is projected to increase to $5.5 million next year even with a larger budget of $75.7 million. Oregon’s experience with an exchange was so miserable that they recently voted to scrap it and allow the federal government to run the exchange. 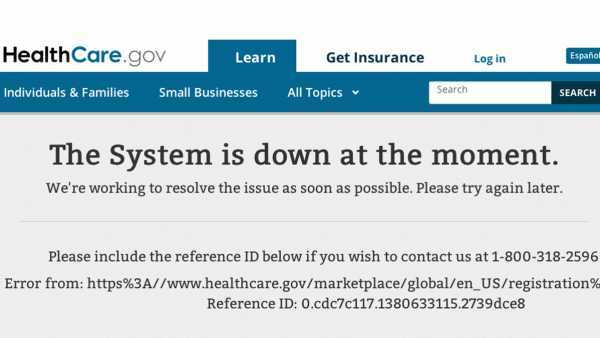 It cost the state $248 million but “no Oregonian was ever able to enroll online in a private plan…because the state exchange never had a functioning website, forcing insurance seekers to file paper applications,” according to the LA Times. Prior to that vote, Cover Oregon was facing a deficit of $2 million. Colorado’s severe technology issues are costing more time and money than officials had budgeted for. For example, glitches with the website are causing this year’s “budget for the exchange’s call center” to soar from $13.6 million to at least $21 million, according to the Denver Post. Officials had predicted annual budgets of $26 million, but now are budgeting between $34.5 and $44.1 million. Enrollment numbers have been so low that former board member Ellen Daehnik has speculated that the exchange will need a bailout. ObamaCare exchanges are more burdensome on state governments than many people ever expected. State legislatures and Governors have plenty of good reasons not to set one up even if it prevents federal subsidies from flowing to their states. what trash > Romneycare, Medicare, Soc. Sec. ...all went thru serious growing pains. give it up, haters. 67 tries to nullify AHCA didn't cut it. here to stay. it IS sad that the GOP donors, the insurers, can no longer deny coverage to precondition MS and Cancer patients! see youse election nite! bwa-haaaaaaaah!